December is not only the time for making your list and checking it twice but tis the season for gatherings galore. 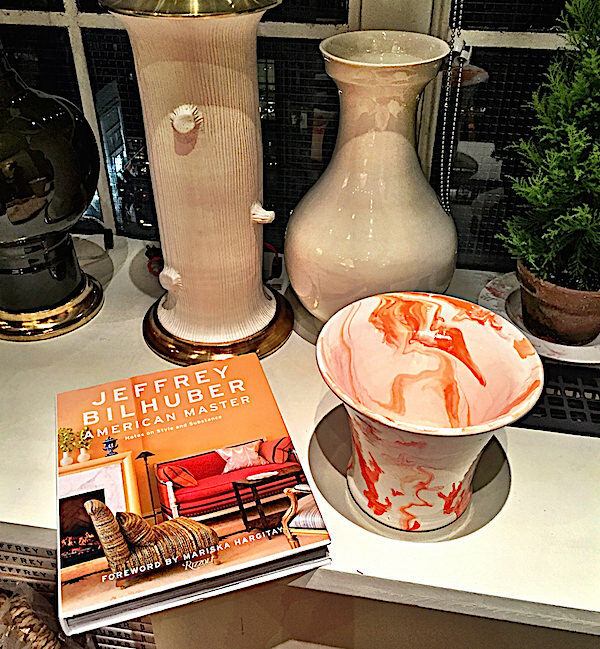 The first half of this week alone started by celebrating Christopher Spitzmiller‘s one year anniversary in his new space with a book signing with Jeffrey Bilhuber. Orange you glad Chris has expanded his palette to include the Q’s signature color? Tuesday evening was the glamorous AD100 party at the Whitney Museum, celebrating a select group of 100 international tastemakers whose work represent’s the magazine’s vision of the best in global design. 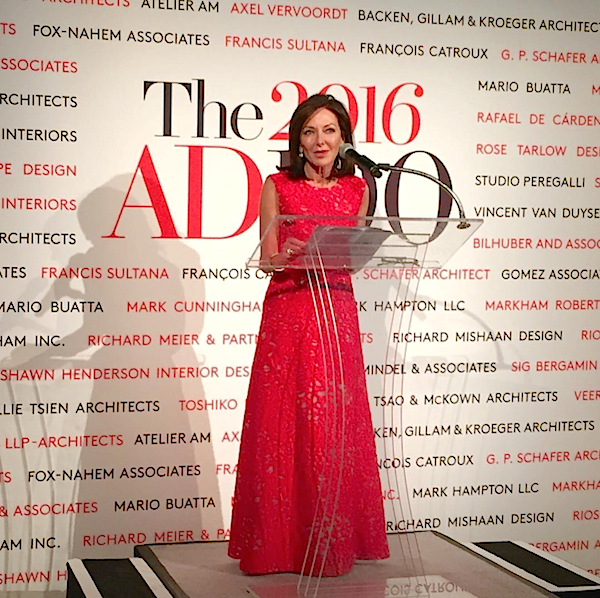 Editor-in-chief Margaret Russell looked radiant in red Giambattista Valli as she offered the evening’s remarks. 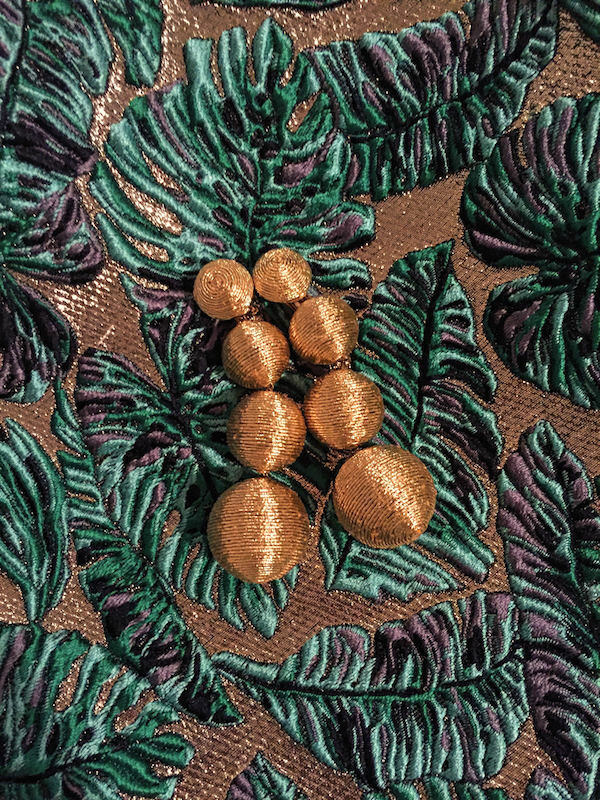 I was so busy catching up with designer friends that I neglected to snap any photos, except for a post-party capture of my new Rebecca de Ravenel Les Bonbons earrings that I was delighted to find at the AERIN trunk show (against my J. Mendel top). 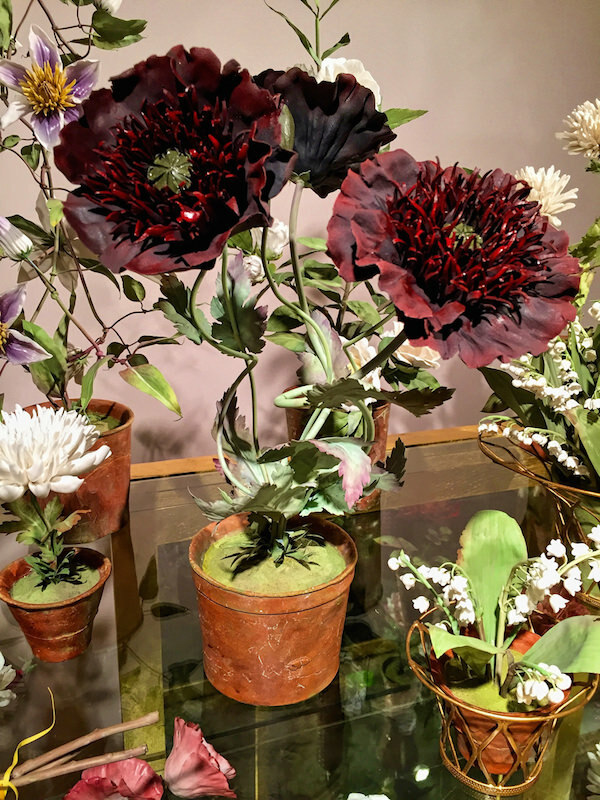 The trunk show also includes the exquisite porcelain flowers of Vladimir Kanevsky. To see the magic of making of these works of art, join Susanna and me behind the scenes for a video visit to Vladimir’s studio. 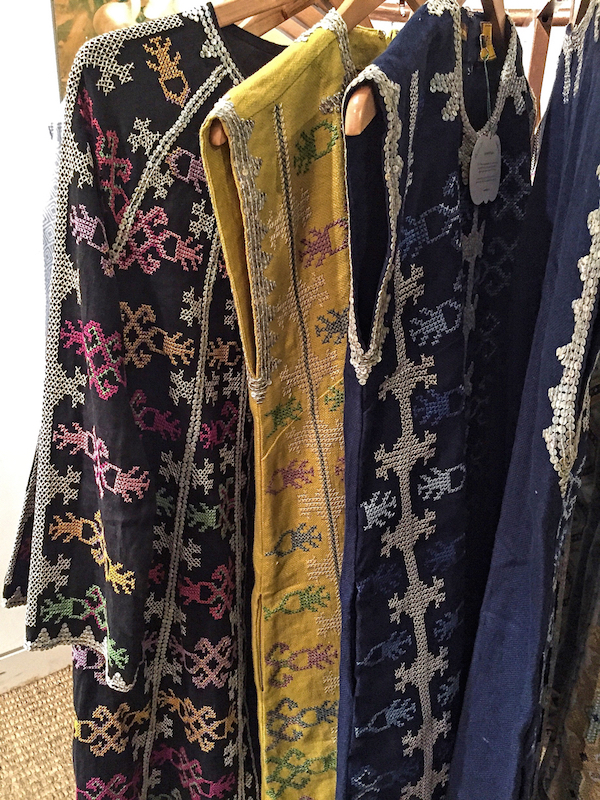 Amanda Ross‘ curated collection of accessories at the trunk show includes her first capsule collection for Sanjay Kasliwal, Gem Palace Jaipur, as well as select luxurious fashion pieces. 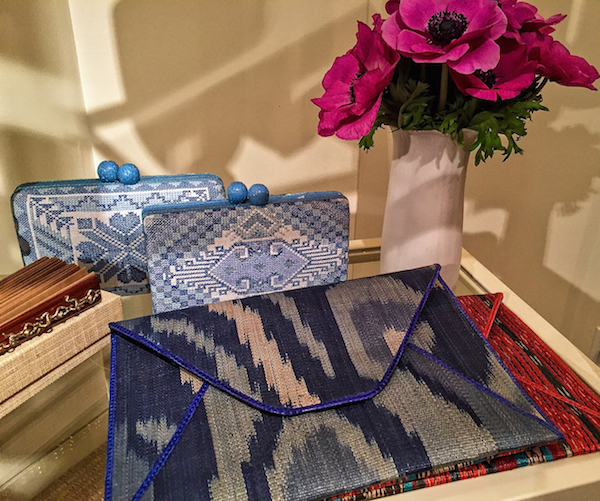 to beautiful clutches, bags and more, founder Lenora Luisa Cabili is inspired by the tradition and rich cultural heritage of her native country. 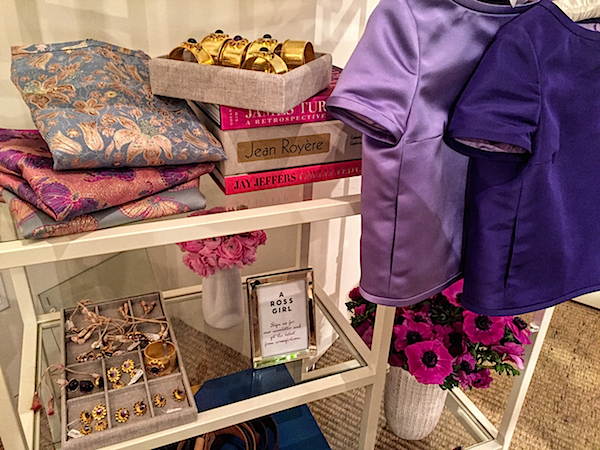 Of course you can find all of AERIN’s own products from beauty to jewelry to decorative accessories like the mix she carries at her Southampton shop. 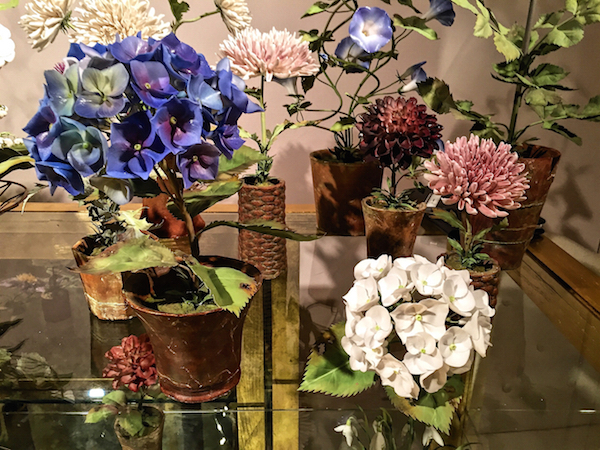 Take a vicarious video visit there with Susanna and me and then take a peek at my preview of the fall accessories now available. 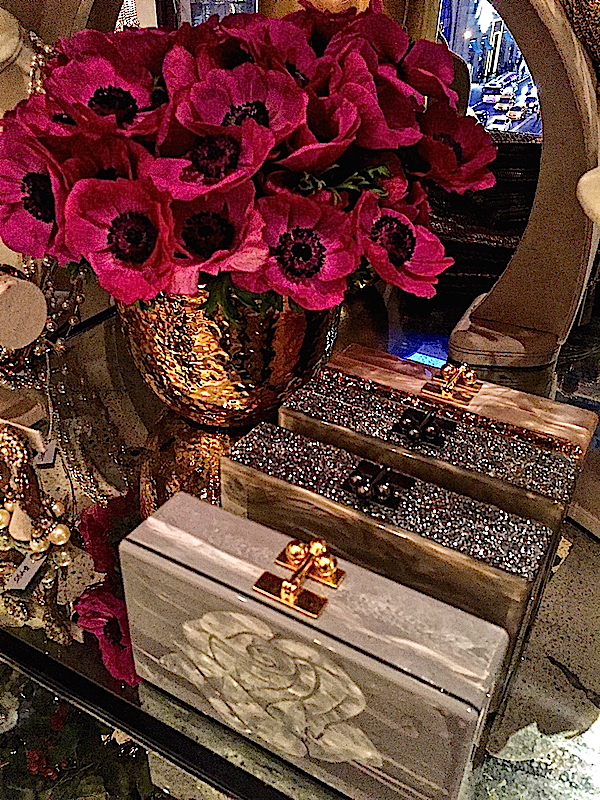 The pop up includes these along with other collaborations such as clutches with Edie Parker, below. 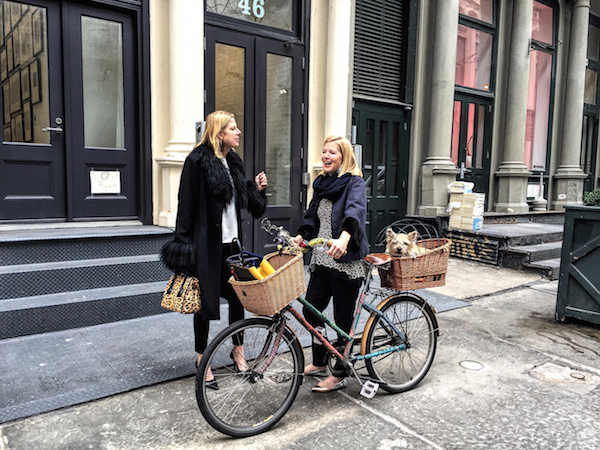 Yesterday included an exciting shoot with fashion designer Lela Rose (and her adorable pup Bobbin) – look for our At Home with video visit soon! 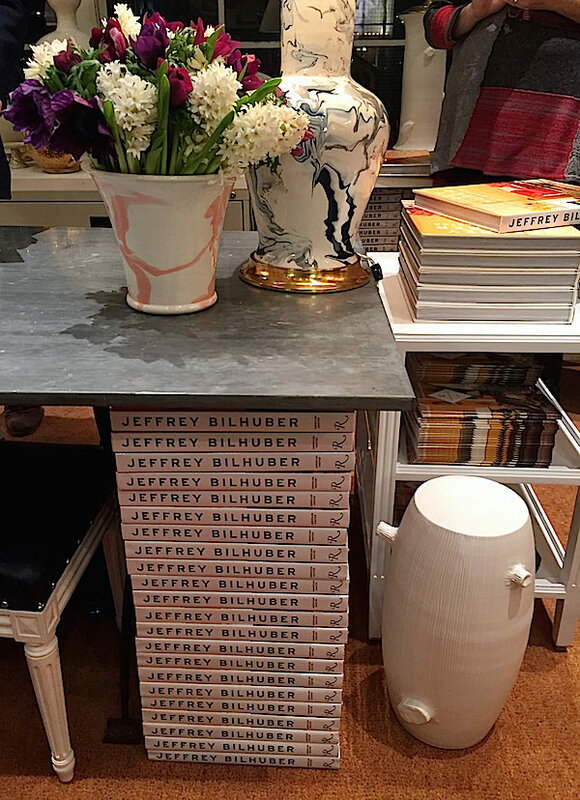 Yesterday evening, Martyn Lawrence Bullard hosted a festive fête at the beautiful Frette Madison Avenue shop, toasting the talented Timothy Whealon and his book In Pursuit of Beauty. 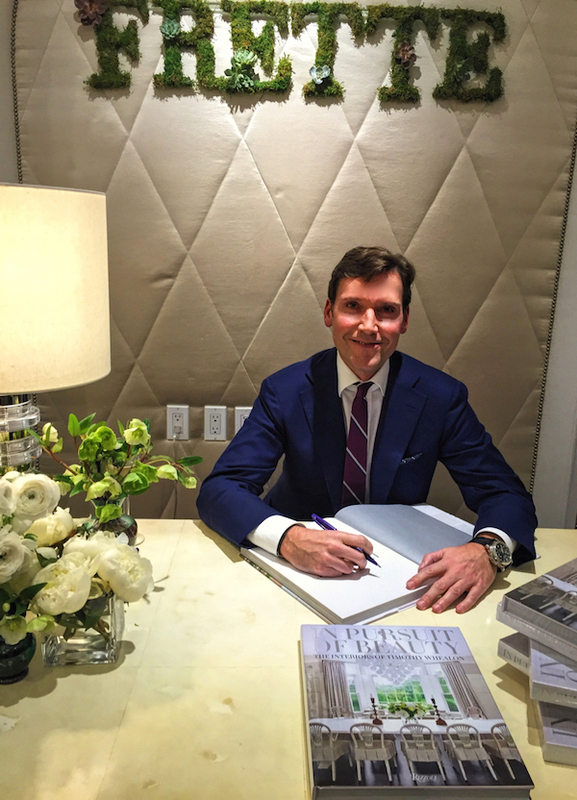 Look for a video visit with Timothy at his chic Gramercy Park penthouse in the new year. So while it tis the season, I’ll be catching up to bring you more of the story behind the style. This entry posted in Uncategorized. 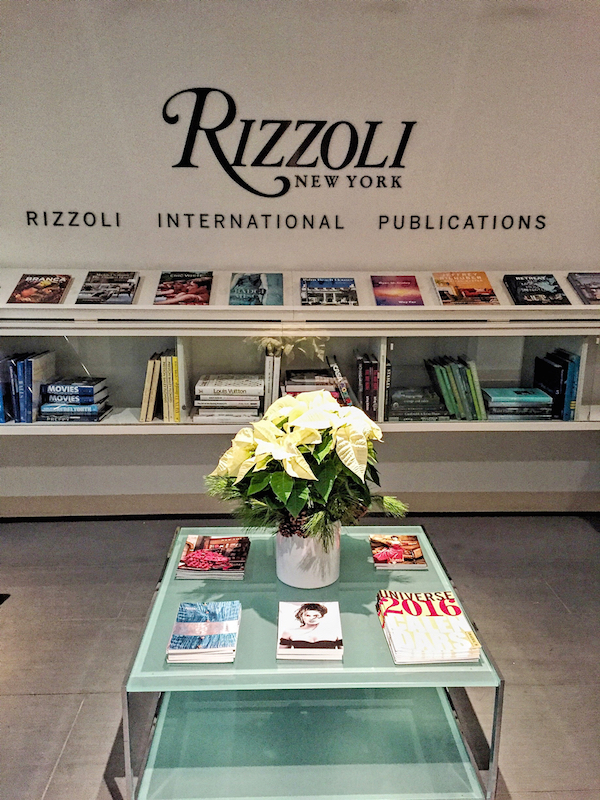 Entry Tags: AD100, AERIN, Amanda Ross, Architectural Digest, Christopher Spitzmiller, Filip + Inna, Lela Rose, Rebecca de Ravenel, Timothy Whealon, Vladimir Kanevsky Bookmark the permalink. Tis the Season indeed Stacey! Between you and Susanna’s Holiday Fetes, I can hardly catch my own breath! I am so excited about the upcoming videos, featuring Susanna’s new book, and adore all of the glorious and artistic wares you highlighted here! Nothing like a ton of beauty to make my day. Thanks! Thank you for sharing and i so look forward to all your posts! Happy Holidays!! 79 queries in 0.647 seconds.